Order the box lunch that you and your co-workers have been craving 🤤!! This fabulous and fun Box Lunch Menu features sandwiches and salads for ever taste & dietary need. Choose from top hits like the Vegan "Adele," a delicious combination of roasted red pepper hummus, roasted red pepper, tomato & spinach. 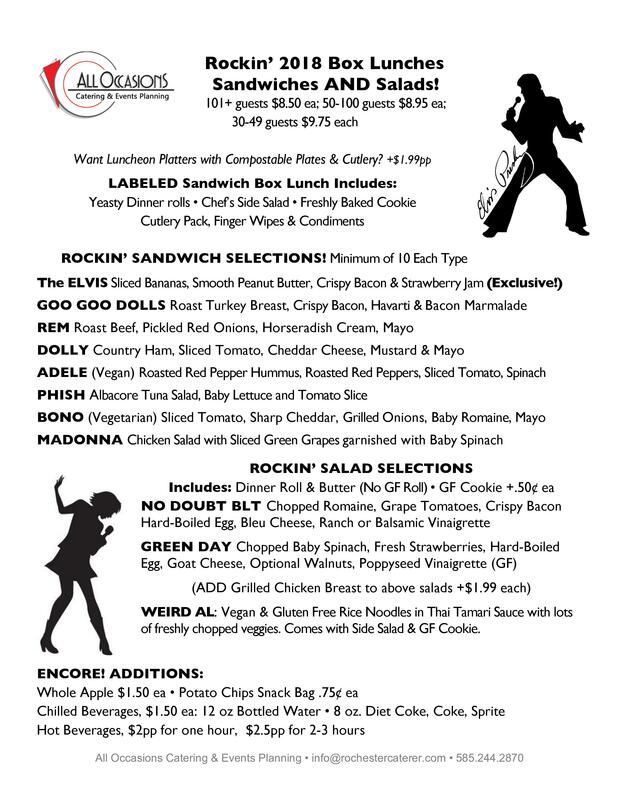 Or rock out with our "Goo Goo Dolls" roasted turkey & crispy bacon sandwich. 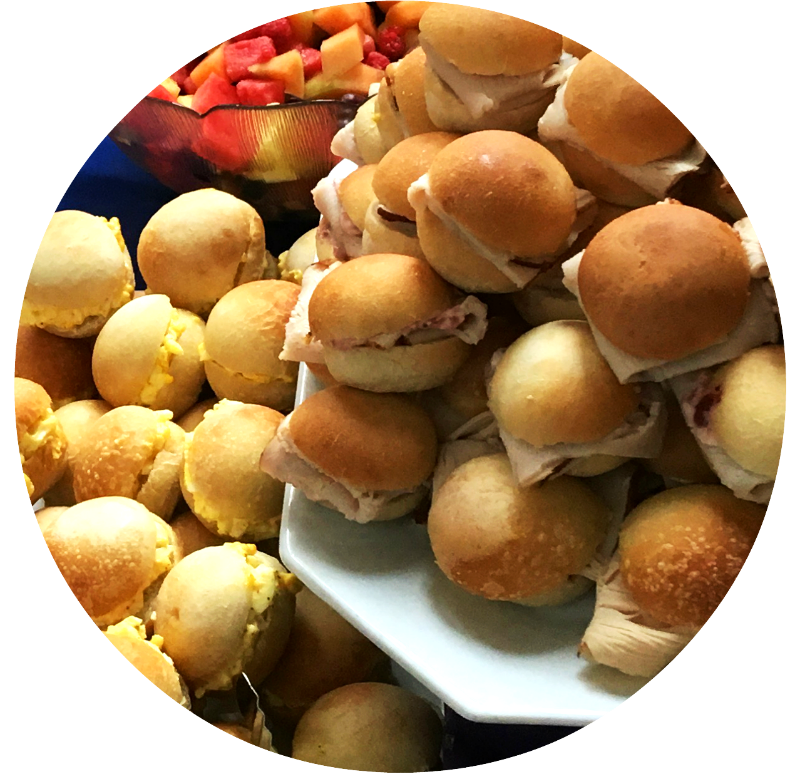 It's the perfect menu to please everyone at your next corporate meeting or social luncheon. Pssst.... Want to take your Lunch to the next level?? Ask about our customizable Luncheon Buffet.